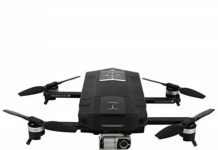 If the DJI Mavic Pro caused a sizzle in the market, as you will see in this DJI Mavic Pro Platinum review, this better and more improved version of the latest DJI addition has caused explosions in the market. And you cannot help wondering why. It is because it is awesome, it over-delivers on what it is supposed to do and most importantly, it gives more than enough value for the money that you will spend on it. 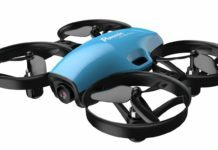 It comes with more improved firmware, more stability, better images, videos, and a longer flying time. 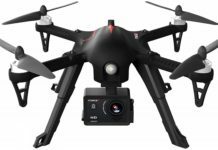 The Mavic Pro Platinum is a video drone that is made for recreational (so simple to use) as well as professional (advanced features) use. 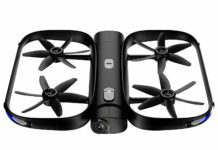 The first thing that you will notice about this drone is its small size. It is easy to hold it in one hand, and you may be forgiven for wondering whether it can do all that it is hyped to be capable of. Not to worry, it can do much more than you expect. 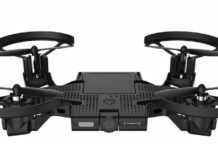 It is slightly smaller than its predecessor, the DJI Mavic Pro, but it is definitely lighter at 1.64 lbs including the batteries, propellers and gimbal cover. It measures 198mm x 83mm x 83mm (L by W by H). Flight time at the top speed of 64 km per hour is 30 minutes. 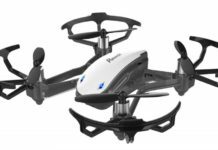 Even within the maximum transmission range of 7 km, this drone is still going to shoot awesome videos and images thanks to the fully optimized features like TapFly and ActiveTrack. Any DJI Mavic Pro Platinum review will show you that the nose-mounted camera with 25mm lens still does a perfect job as it is the same camera that was on the predecessor. Use it to shoot 60Mbps 4K video, DNG and JPG images. Even when shooting at high speed, the gimbal is going to stabilize the camera for perfect videos and images. The images will be printable, offering the same quality as an aim and shoot camera. The camera can rotate its lens to shoot video and images in both portrait or landscape mode – the choice is yours. Although many people prefer landscape, you never know when you might require to go the portrait way, so it is a good feature to have on board. 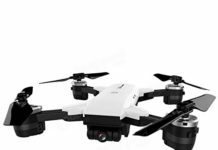 Anyone can use this camera drone, but as you have see in this DJI Mavic Pro Platinum review, this drone is best suited for vloggers, professional photographers and videographers as it packs a good nose-mounted camera, is stable and has an extended range. It is also small enough when packed to fit into your gear bag when you are going to work at other places. Just carry an extra battery with you. 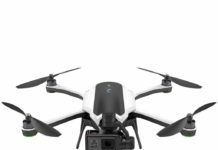 If you are a serious drone user, that is, if it will add some value to your business, do not hesitate to go for the Pro Platinum. It has incredible features as you have seen here and what’s more, it is only a hundred or so dollars costlier than its predecessor. 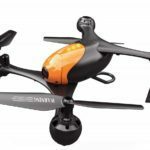 You should definitely get to enjoy the quieter and longer flying time, plus the small packing size that makes it a perfect traveling drone. It is definitely worth every dime that you will pay for it, as you have seen in this DJI Mavic Pro Platinum review.